Yesterday I did something new! I went to a pickling party! My friend Hollie hosted this lovely event, and she and Thea picked all the cucumbers and zucchini in the morning from their shared farm land. 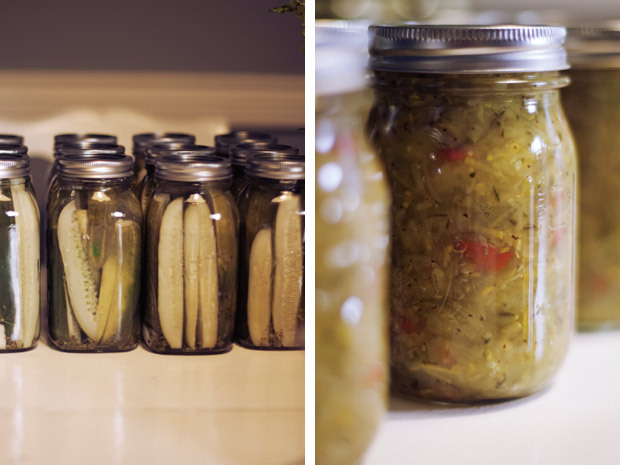 We spent the afternoon chopping, mixing, boiling, stuffing and admiring all our full jars. I met a bunch of new people, including Mel, whose blog (Homemade Crackers, co-written with her husband Jesse) is featured regularly on the National Post website. Her family is journeying 'out of the supermarket' to discover where their food comes from, and learn how to make things at home. 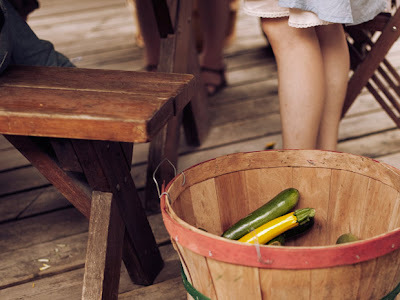 They go on 'fieldtrips' to places like nut nurseries and local farms, and then share their knowledge about how things are grown, the proper season to buy certain items, and also great and simple recipes. 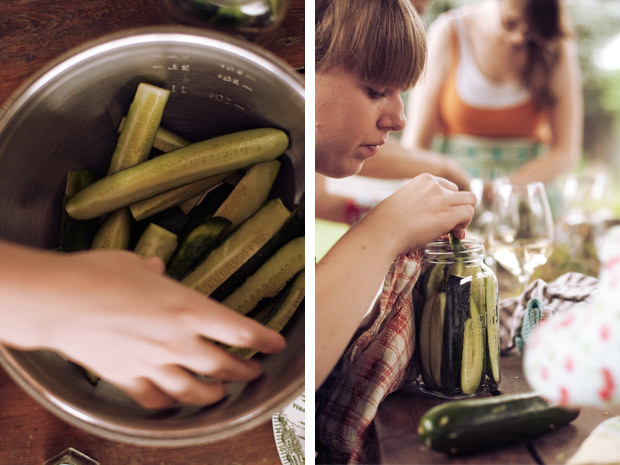 You can read Mel's article about our pickling party, here.